The owner of a three-week-old foal who suffered horrific injuries in a suspected dog attack wants to raise awareness of the damage that can be caused. Two mares were also injured in the attack, at Julie Griffiths’ Blue Stone Stud in Cheshire at the beginning of this week but coloured colt Ajax was the most seriously hurt. Julie told H&H her daughter rang her on Monday morning to tell her one of her mares had a bad cut to her hip. “I went up there with a friend and there was the palomino mare with her hip ripped open, and a dun mare with an injured foreleg,” she said. “I saw the field was churned up where they’d been galloping about, which they don’t normally do – they’re a happy herd. Julie said the foal had teeth and bite marks on his quarters but the worst injury, which she believes may have been caused by the foal being chased into a fence post or other object, was a very deep gash high on a foreleg. Ajax now has to undergo a long rest and “intensive treatment”. “We just hope he’ll get better,” Julie said. “You could see the bone. The other two mares are “doing ok”, but Julie said nine geese were also attacked the same day. A Cheshire Police spokesman confirmed the force was called to reports a dog had attacked the foal. 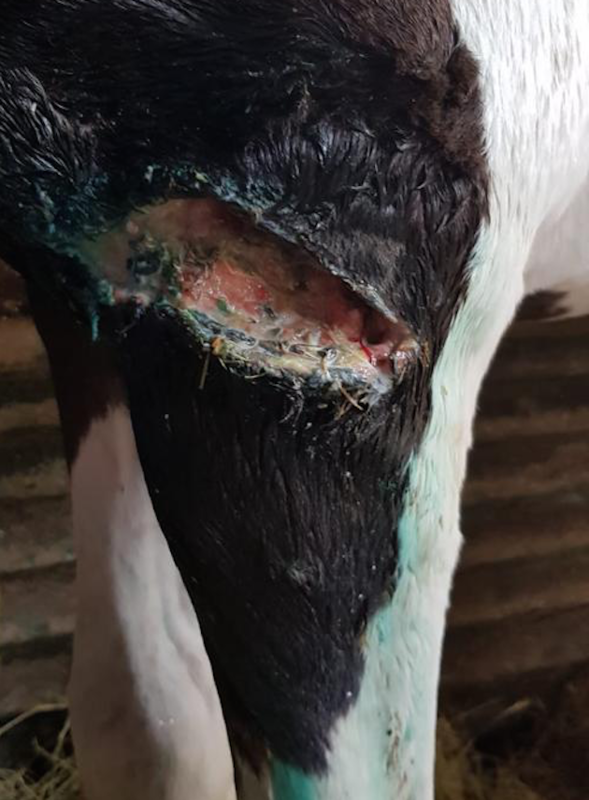 “Officers attended and enquiries have been made and there is no evidence of the dog having entered the farm and it is not clear how the foal’s injuries came about,” he said.